Renewable energy sources will take advantage, despite the fact that their starting base is insufficient. This is the opinion from the Energy Outlook 2030 report prepared by the British Petroleum oil company. 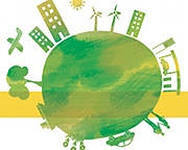 Representatives of non-governmental environmental organizations are sure that the nature of consumption and the ratio of energy sources in the global energy sector are changing in such a way that representatives of “traditional” energy can no longer ignore this fact. The forecast presented by British Petroleum (BP) traditionally relies on fossil fuels as the determining factor in the world of energy. This is understandable and is associated with the sectoral priorities of the company. However, in contrast to previous years, the current version of the report was very optimistic about long-term prospects not only of the global economy, but also of the share of renewable energy. The authors of the report are sure that the developed countries are still not ready to significantly reduce the consumption of fossil fuels. The best evidence for this is the increase in coal consumption in Western Europe observed in recent months and the gas boom in the U.S.
For the first time, the oilmen recognize in their review that the nature of the energy consumption is changing. The experts write that, with the growth of the world's population, the transfer of energy-intensive industries in developing countries also moved locations where the demand will grow. "Bright projections" of the company include a sharp slowdown in the growth in coal consumption in China and moderate optimism about the prospects for the development of nuclear energy. Bob Dudley, the CEO of British Petroleum, says that renewable energy sources will take advantage, their growth will make 8 % per year, and the demand for biofuels will triple in two decades. He notes that renewable energy sources now supply 3% of liquid fuels for transport, but this will rise up to 9%. According to BP, renewable energy in general (non-hydro, but with biofuels) are the fastest growing segment of the global energy market. However, the starting base for their development is inadequate. In 2030, these sources will account for 6% of the world energy and 11% of electricity (compared to 4% in 2011). BP sees the problem with biofuels production in the fact that it is "tied" on ethanol, while commercial viability of cellulosic ethanol is far from obvious. However, this is only a forecast, and BP increasingly expects that biofuels will face growing demand for liquid fuels (60% growth from 2030). According to the Energy Outlook 2030 authors, Russia, even after 20 years, will be one of the world's largest exporters of oil and gas. Gas production will exceed 750 billion cubic meters per year. Only the U. S. can compare with Russia for this indicator. Oil production will reach 10.9 million barrels a day, the level comparable to Saudi Arabia and the United States. By 2030, the production of energy in the country will increase by 19%. However, Russia's share in the world production of energy will decrease from the current 11% down to 9%. BP experts explain this by faster growth of energy production in India, China, the Middle East and the U.S. (in India by 94%, in China by 46%, and in the U.S. by 23%). The experts say that the energy consumption in Russia will increase in 2030 by 15%. The experts expect significant increase in energy efficiency of the Russian economy. However, even after two decades the energy efficiency in Russia will be approximately two times lower than the OECD average. And not just because of the cold climate, but also due to continued higher proportion of heavy industry in the economy. The share of renewable energy sources will remain low in Russia, and their contribution in the energy balance will remain at the level of 1%, while this figure will reach 10%in the countries of the Organisation for Economic Co-operation and Development (OECD).